Browsing articles tagged with "vhd Archives - AgniPulse"
In Windows 7, Native VHD boot is currently supported only on Ultimate and Enterprise versions and is disabled by a license policy on other versions of Windows. 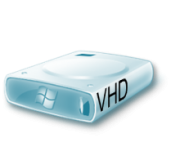 This article/tutorial shows how Native VHD boot can be enabled on unsupported versions of Windows 7 as well. Install Windows 7 to a VHD and boot from it! 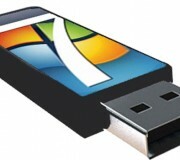 With Windows 7, you now have the option to boot the OS from a VHD, a virtual disk file, instead of a partition. This way, you don’t have to reconfigure your hard drive partitions. This feature is similar to Ubuntu’s Wubi installer which uses a similar concept to avoid reconfiguring hard drive partitions. Basically, instead of installing windows 7 to your physical HDD by getting rid of Vista or even dual booting off another partition, you can install to a virtual HDD (in VHD format), and boot off the VHD so you actually get the hardware functionality to play with! !